The Meatup Grill and Riis Point Bar operates out of the Bay 9 Pavilion building as our year-round offseason restaurant with indoor heating and ocean views. See below for menu and hours! Call 708-632-8871 (meatup1) for delivery. 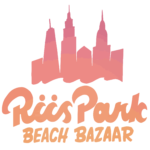 Riis Park is a magical place during the offseason. We look forward to seeing you! CLICK HERE FOR A FULL LIST OF TRANSPORTATION OPTIONS.